A gunite pool is the strongest and most durable type of pools available on the market. At Aqua Pool, we specialize in inground gunite pools. The customization process available for this form of pool construction enables customers to select design and shape options in addition to further items like stairs, location of stairs, benches, sun shelves, and depth. Engineered to accommodate for the movement of the earth, gunite is the most durable and sustainable pool types that works well in our harsh New England climate. Gunite is sprayed cement that is applied over a mesh rebar skeleton. This process delivers a structurally superior pool over any other types of inground pools. Meant to last a lifetime, gunite works well in even the harshest of environments. That’s one of the many reasons why most commercial inground pools are built this way. 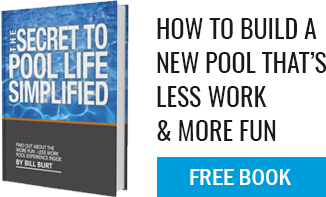 Gunite pools are also great investments because they are the least expensive to own over time. Just like any other type of pool, gunite pools require some upkeep. From water testing to water balancing, basic maintenance is key in any pool care routine. At Aqua Pool, we deliver our customers with the most worry-free pool ownership possible by building the highest quality and custom inground pools. First, it is important to know that gunite and plaster are not the same thing. A gunite pool is indicative of the underlying structure of a pool, including rebar. Plaster covers the surface of gunite. All inground, gunite pools are comprised of the same structure with some sort of interior finish. The external finish is where the plaster fits in. This outside layer of plaster is the interior finish, not part of the structure, and it is one of the aesthetic finishes of the pool. Similar to painting a house, one can have a house with vinyl siding or clapboard on top, a custom gunite pool can have different interior finishes. Our team offers only gunite pools as we believe in the highest quality options and services that accompany this unique form of pool construction. Not to mention, the durability!